Nothing new has really been happening. My mother and I have already started shopping for things for the apartment. We got this storage bin and we will buy things a little at a time and fill the bin. It's pretty cool, and looking at it makes it super excited for the future. Grad Bash is April 23 at Universal. I'm pretty excited about that too. I really want to ride the Simpson's ride! lol. Hopefully, both parks will be open, because I loooove the Spiderman Ride. Soo much fun! lol. The only thing that bums me out is that the Harry Potter land will not be open until June. 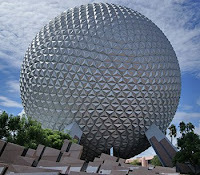 So, we wont see it yet.....maybe when I move to Orlando, some friends and I will go there. I'm pretty happy that I am leaving. I look around and see people who I thought were going to go somewhere and do something just stay here and not do anything and it's just like, woah, what happened? I'm glad I'm not in that position though. I really would like to stay in Orlando as long as possible, and hopefully go to school there....I will try my best to make it possible. Ok, so I'm leaving for Orlando in about 5 months. Well, that may seem like a long way away, but considering everything else that is going on this year, such as Grad Bash, Graduation, etc. Time will go by faster than you think. So, my mom and I have made a list of some things that we will need to buy before I head up to Orlando. So, that is the list so far. But, I know that it will continue to grow. I can't wait to go shopping for everything! It's going to be so much fun! The elusive letter has arrived! I am Sooo excited. I finally have it in my hands!! Ok, so Check in date is September 1st. Thats plenty of time to get everything together. So now, I can think about what I need to pack, and what I'm going to do when I get there!!! Walt Disney World, here I come!!!! Ok, so my last post was a bit short. But, I was kinda in a hurry. It was really crazy yesterday. So know, I can sit back, relax, and reflect on everything. Whew! The pressure is off. I have a feeling of relief. It is wonderful. I'm going out with some friends Sunday to celebrate. But now there are so many more things to think about. I have to think about a car, and money, packing. It's insane. So, the first person I told was my mom. She was the one who persuaded me to call in the first place. She is really excited for me. But I think that she is also a little nervous. I know that this will be hard on her. We are very close, and when I leave...it's just going to be so different. But, shes happy for me. So, we were talking and I know that everything will be okay. So, I will be getting my package next week. I'm very excited about that! I can't wait to see all of the information it has inside of it! So, I'm at school, selling ads for journalism. I call my mom and ask her if I got my letter in the mail. "No, not today." She replies. I hang up the phone, a little disappointed....I really thought that today would be the day. So, after school, I drive home, I am thinking about some topics for my blog. When I get home, I turn on the Wii and begin to play Animal Crossing. My mom is sitting next to me on the couch, she can tell that I was a little disappointed. "Why don't you call them up and see what your status is? It doesn't hurt to ask." I was nervous at first. I wasn't sure if I would hear anything...or the answer might be a no. So I call them up and give them my name. Then I am put on hold for a few minutes. My heart is pounding wildly. Then a woman answers the phone. Once again, I give her my name. She types something on the computer and says, "Well...it says here that we have extended you an offer for the Disney Career Start Program for the fall in merchandise." My heart stopped for a second. "Oh my goodness!!!" I exclaim. "Thank you so so so so much!!! Thank you!!!" I am practically shouting into the phone. "Congratulations." The Woman says. I hang up the phone and stare at my mom. "I got in!! I got in!!" I am screaming like a mad woman. My mom begins to yell and we are hugging. I did it. I have achieved my goal. So now is the next step. Planning for Orlando. I am now thinking of what to pack and what I need to buy and what apartment complex do I want to live at. There are so many things to think about! I cannot wait to go to Orlando!! Short post! Here's my Touring in the Magic Kingdom Outfit! Ok, so It's been pretty boring here on the home front. 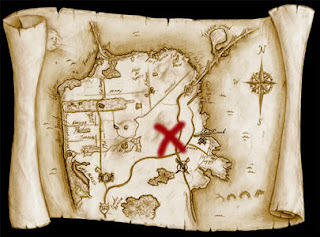 I still haven't getten my letter...so, to pass the time I've created a scavenger hunt for the Magic Kingdom. Maybe, if we're lucky, we will be able to put this list to use!! 4)Take a picture of some random person's lunch! Ok....so it's not a lot, but that's OKAY! Cuz This is where you guys come in! Leave me a comment with some suggestions and lets see if we can make this the coolest...and most random scavenger hunt ever!! Ok, so when you'e doing the CareerStart program, you know that you're not going to make a lot of money. Because it's not about the money, it's about the experience of working at Disney World. So, on your days off, you dont have a lot of cash to spare. You get to go to the parks for free....but, what else is there to do when you're broke? 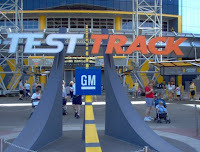 Disney's board walk has some really cool things to do that are either free or inexpensive. There are street performers to watch, or some carnival style games you could play for a small fee. Or you could just sit and relax, and watch the friendship boats float by. Downtown Disney is great fun, and you don't need bundles of money to enjoy it. Window shopping always is cool, especially the Art of Disney Store.Oh! And thr interactive fountains are great fun! Whether you're getting wet...or just watching other people. Also, don't forget the Lego store! There is an outdoor play area filed with Lego's! Also, at the Magic Masters shop, sometimes there are demonstrations that are free! Oh..the hotels have lots of fun things to do that don't cost a lot of money. Like, looking at all of the pools..or the lobbies...or even going to the pop century of All Star resorts for some really cool pictures!! Like the giant Buzz Lightyear!! Or, you could go to the animal Kingdom Lodge or the Wilderness Lodge and get a free tour! Celebration is a rival of my football team....so, it would be pretty cool to go there and check out the compatition! lol It's more of a mellow fun things to do because...well, all you are really doing is looking around...but it's something to see if you have never seen it before. Or the boats, they are pretty fun....and are really special at night. Or a carriage ride, they are both pretty romantic things to do...and are free! Scary, isn't it? It happened at around two in the morning at the Ticket and Transportation center on July 5th, 2009. One cast member died, one was rushed to the hospital, and no guests were hurt. Another crash happened on Valentine's Day, 1974. A monorail was heading towards the Magic Kingdom and was unable to stop. No guests were injured and a cast member was sent to the hospital. Some time in the 1970s, someone brought a gun to Disneyland and began shooting it in the Haunted Mansion...they were clearly out of their mind. So, the glass he shot was too large to move and have fixed, so Disney just taped it over...Kinda adds to the decor, no? Sad, but true. 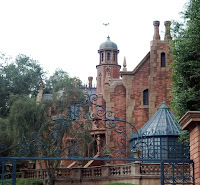 Almost, although it is true that someone died on the fantasyland's Skyway, it was not a guest. It was a cast member. 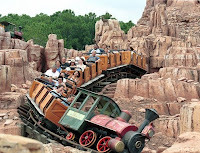 On February, 1999, a cast member, who was not wearing any protective gear, fell to the death on the loading area. Yes, seriously. They are random and as we all know by now....Random is FUN! Quick! What is your mothers maiden name? Good, good. What is your favorite food? What do you think of roller coasters? I'm a huge chicken....but I am learning to overcome this fear....lol hopefully....with the help of you guys?? Family guy, the simpsons, King of the hill, Roseanne, The Bad Girls Club, The Tudors...I like a lots of different stuff! Are you weirded out by the randomness of these questions? Are you upset that this is the last question? ....I can quote family guy like no body's business....Giggidy! Well, that's all folks!!! Night! On another note, found cool website. Polyvore. So I am going to create looks to occupy my time. This time it's my "I'm driving to Disney" look. I dont really have anything cool to write about. I have to get to work in a few minutes. But, I just need to vent. Lately, I have been feeling a bit nervous. I want to get in so bad that I been feeling sick. I dont know what I would do if I didnt get accepted. The only thing that keeps me from bursting out in tears is the fact that I want this so bad. I fought for this. There were many obstacles in my way. Like, the false information, and the website crashing. I am praying that my persistance and ability to solve those problems will show people that I am ready to take this leap and move to Orlando. I dont mind working during the holidays. Or working for peanuts. In fact, I am looking foward to it. I want to meet these people that I talk through the DIS boards. We already have some plans! Like, Chocolate chip cookies! and late night parties! lol Anyway, I just needed to vent and let some of my emotions out. 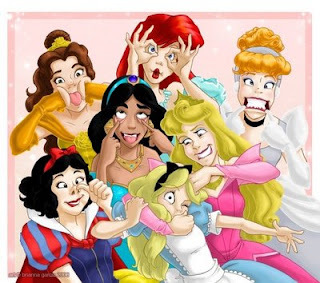 I am looking foward to meeting these people and working at the happiest place on earth! Disney's Contemporary resort is, in my opinion, the coolest resort. I also think that it is the most luxurious. 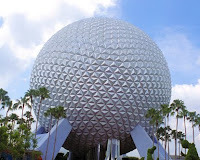 It is located in the Magic Kingdom area. That means you could get a room with an awesome view of Space Mountain or Cinderella's Castle!! The monorail goes right through the resort, so transportation to the Magic Kingdom is easy! All of those things a really cool, but my favorite thing about the contemporary resort is the 90 foot mural. It was created by artist Mary Blair, whp also created desgins in Tomarrowland and It's a Small World. I remember riding the monorail through the resort. (Unfortenately we were not staying there) and I saw the mural. The colors were so bright and cheery. It was pure Disney. It made me think happy, and feel happy. I haven't been to Disney in awhile, but that was something that always stood out to me. The Contemporary resort also features two famous restauant. The California Grill and Chef Mickey's. Chef Mickey's is a character dining buffet restauaunt. It looks like so much fun! I have always wanted to participate in character dining, and this looks awesome! Even the Michey mouse shaped waffles are cute! What a great way to start the day! The contempary's other featured dining option is the California Grill. It is a super modern and has amazing views. Cinderella's Castle, Seven Sea's Lagoon, take your pick. This is one of the top places to see the fireworks in the Magic Kingdom. And hopefully, one day soon, I will be able to have the pleasure of dining there! Anyway. So, I am trying to get my mind off of Disney....so I have been reading a lot. and watching lots of movies, especially Disney movies...(Which is kind of redundant)....and right now, I have to go onto itunes and find some really awesome Disney songs! lol My favorites are the tunes that get stuck in your head....such as "It's a Small World" and "If You Had Wings"....I love to hum them quietly and see how many people hum along with me. lol Sorry, this post is kind of short, but, right now, all I have really been doing is waiting for the letter......and I REALLY hope it's an acceptance!!!!!! I can get enough of Pirates. It is a fun ride, full of humor, wit and fun. It doesn't have have any 30 feet drops or anything. But it still is very exciting. It's about 10 miniutes long. And the wait times can get pretty lenthy, but trust me, it's worth it! This ride is located in Tomarrowland and is over 180 feet tall. In my opinion, it is the best mountain out of all of the others. The ride is mostly located in the dark, which can get a little scary for some people. The queue si verrry long. It stretches forever on the outside, then it's like, a 10 mile hike from the inside. So I would recommend using a FASTPASS to ride this ride. My FAVORITE ride of all time!!! There is sooo much to love. First of all, the design is ingenious. It is a rotating theature. , and the seats and the thing that rotates. But the real winner is the message. I love to watch how everyday life progressed because of electricity. I have only ridden this ride once though. But for some reason, it is embedded in my memory, and that is why it is my number one. I mean, there are so many other rides that I have been on, but I don't really remember anything about them, with Walt Disney's Carousel of progrees, all of the memories seem so vivid. And that is very special to me. Okay, I have a lot of favorites at Walt Disney World, but today I thought that I should start with the rides. 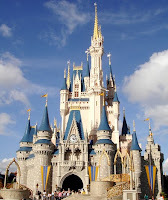 Disney World has over 6,000 rides. But I narrowed it down to my top 10. And trust me, this was extremely hard to do. This is not a thrill ride, it is not a show ride. It's just....a ride. You ride in the cars, touring Tommarrowland. The ride design is pretty awesome. There are not engines. Every so often the wheels are propelled my a magnetic pull and you continue to travel. There is hardly ever a line, and it is a wonderful ride to ride when the weather is super hot. Along the way, you will past Buzz Lightyear's Space Ranger Spin, and you go through Space Mountain. (Sometimes, if you're very lucky, you can see Space Mountain with the lights on!) You continue through and come to a small model of Walt Disney's "Progress City" Sometimes I wish that I could just stop the ride right there so I could get a closer look. As you exit the ride. You are back on the ground, but now, you have a different perspective of Tommarrowland. This is NOT a scary ride. Although, when I was little, I thought that it was. It is a very fun ride, touring through the mansion. My favorite part is the stretching room. I remember when I was little, I got so freaked out that I began to cry. I also love the ballroom. I love watching all of the ghosts dance. The haunted mansion is very detailed. And you would need to ride that ride 1,000 times to get all of the wonderfull little easter eggs hidden in there. Lol I know that this ride can be found at a lot of other places, but there is no other like the one at Disney World. 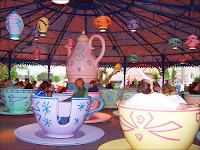 When I was little I would always want to ride, "The Teacups." With my Dad. And even now, it still is a special ride that we share together. (It makes my mom sick) It has an Alice in Wonderland theme, when Alice stumbled upon the Hare and Hatter's Un-birthday Party. You get to spin very fast and it's really great fun! I am not really a roller coaster fan. I tend to get really sick when I ride them. But this ride isn't so bad. In fact. It is one of my favorite rides. I love the thrill of the ride, even through you are not going very fast. I always feel like I am going to get hit with something. It's super scary at first, but as I get off of the ride, I am so pumped to do it again! Well, this is a pretty long post, so I will save the rest of it for another time!! !